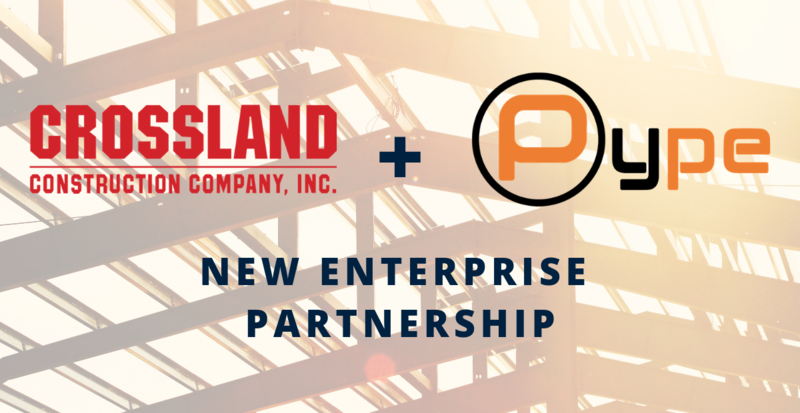 Pype announces a new enterprise agreement with Crossland Construction for use of Pype AutoSpecs on projects nationwide. Crossland Construction will begin implementing Pype AutoSpecs on their projects beginning Q4 2018. AutoSpecs generates detailed submittal logs so project teams can keep their finger on all aspects of a project, such as mock-ups, QA/QC requirements, and more. Logs will be generated in a matter of minutes, instead of weeks of manual searching, copying, and pasting. The Crossland Construction team is excited to reallocate precious man-hours to more valuable tasks with the time savings Pype provides.